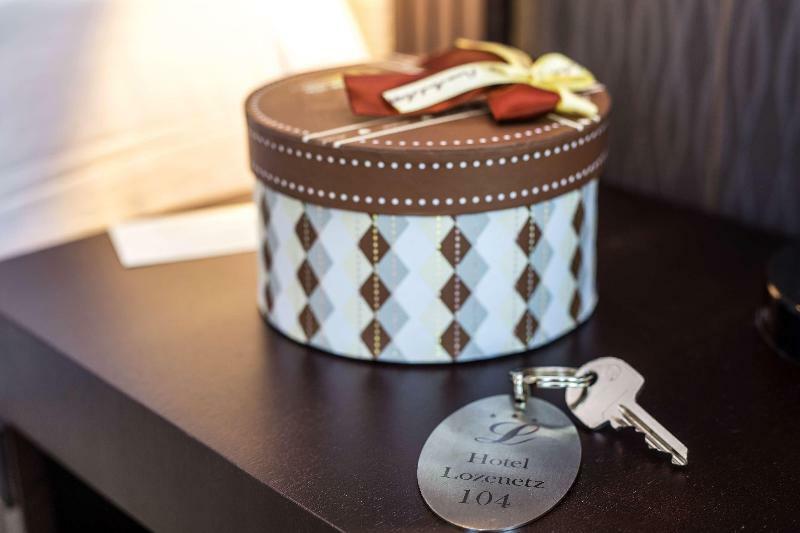 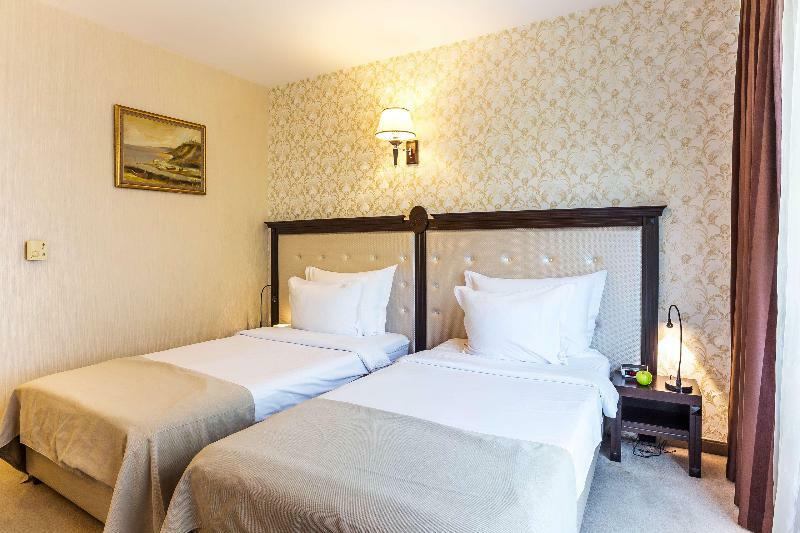 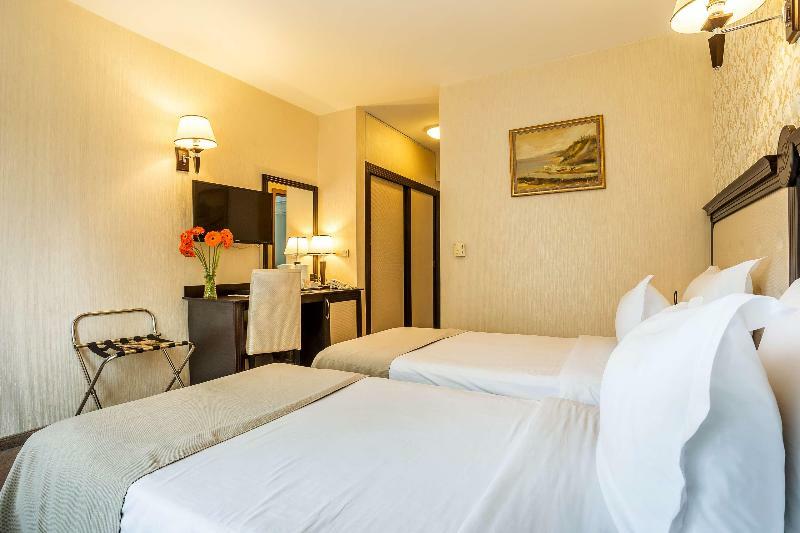 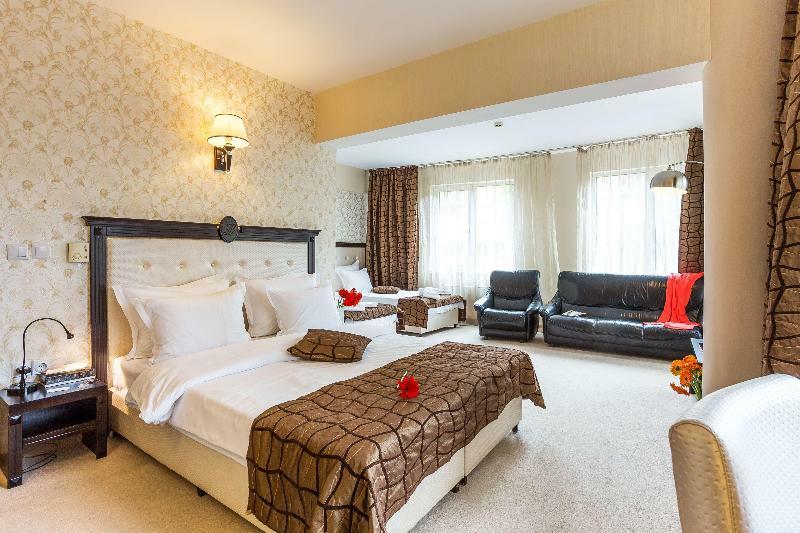 This attractive hotel lies near the city centre of Sofia, not far from the famous Vitosha Street with its elegant boutiques and diverse shops. 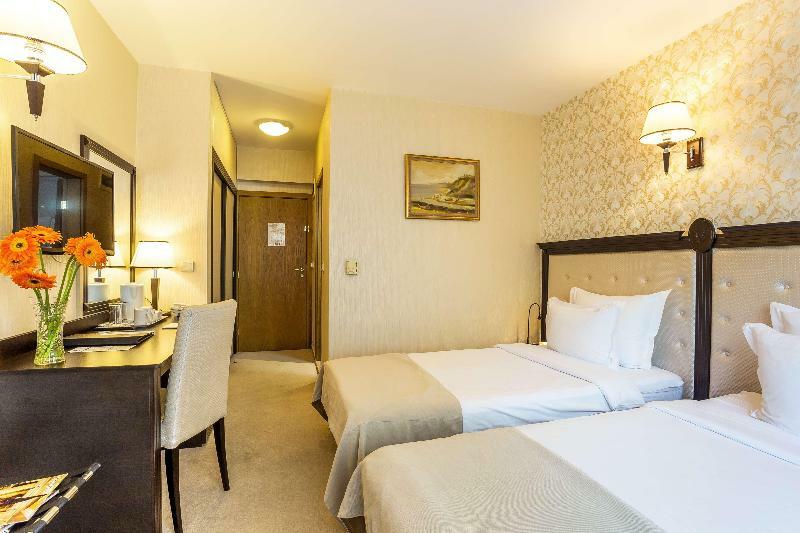 Countless restaurants are found within walking distance of the property, and links to the public transport network are approximately 350 m away. 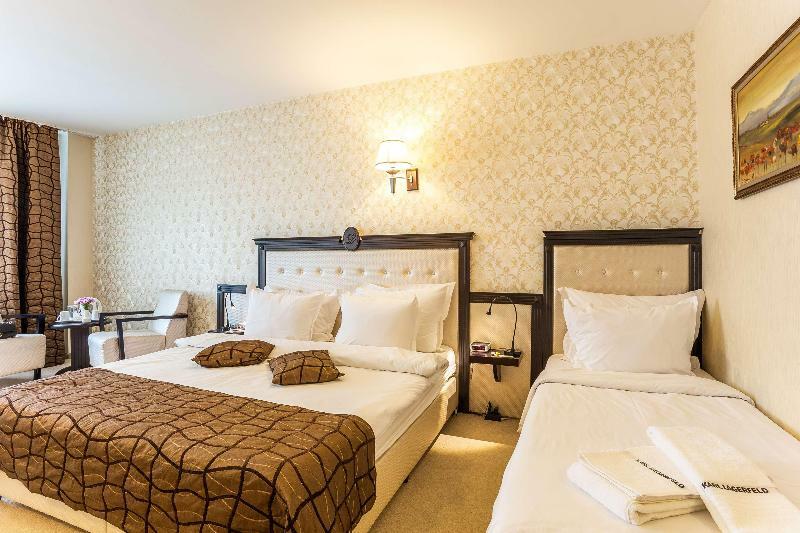 Established in 2004, the hotel comprises a total of 31 rooms. 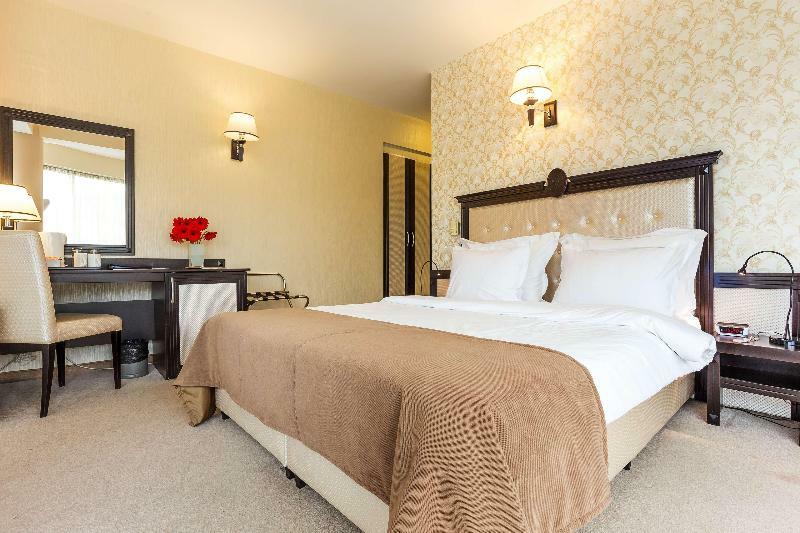 Facilities available to visitors include an air-conditioned restaurant with a summer garden and highchairs for children. 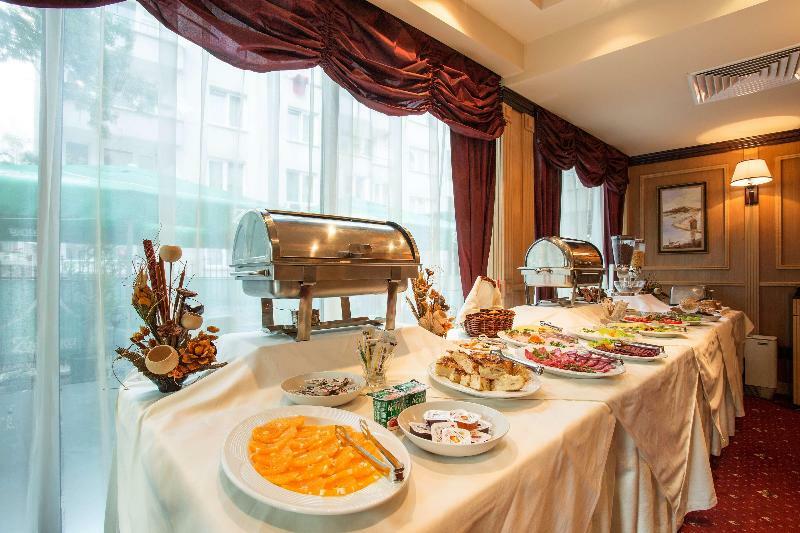 It serves traditional Bulgarian cuisine and a selection of wonderful wines. 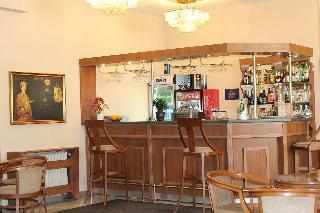 A bar and a pleasant café are also available to guests and offer excellent drinks and tasty treats. 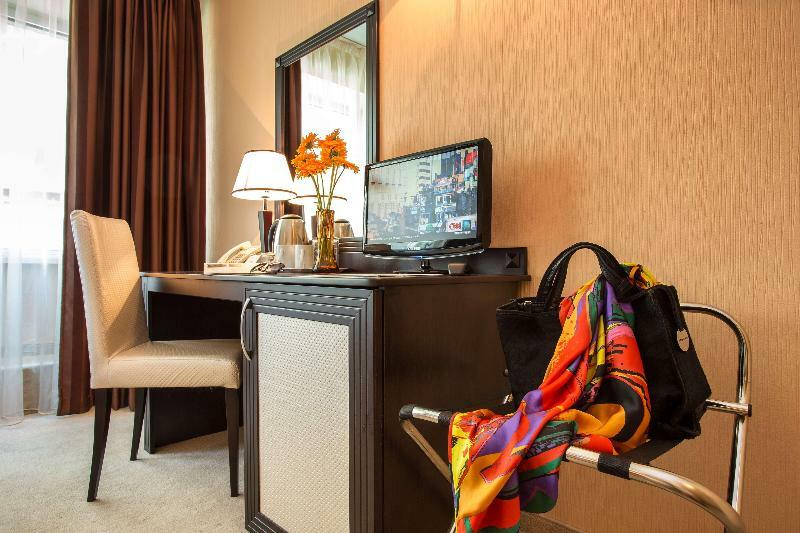 The well-appointed rooms all come with satellite/ cable TV and a sitting area where guests can enjoy moments of relaxation and make use of the Internet access. 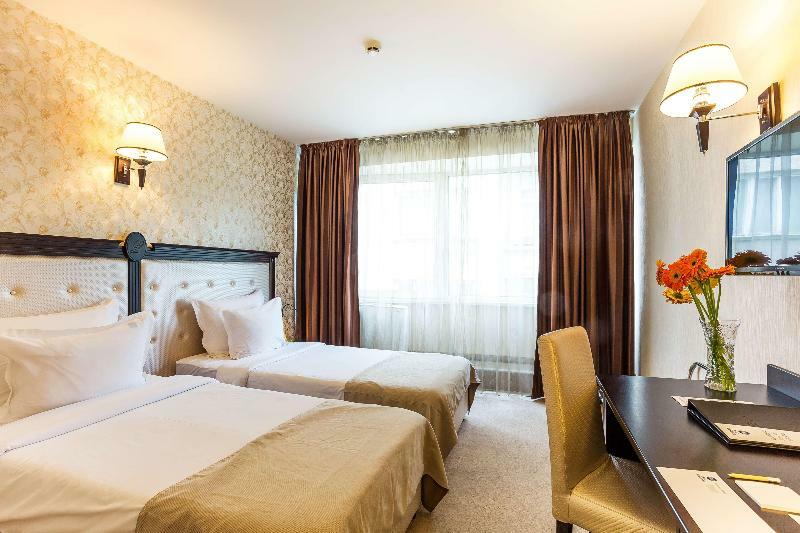 Situated opposite the City Center Sofia Mall, the renovated hotel Hemus enjoys a central location in Sofia, the capital of Bulgaria. 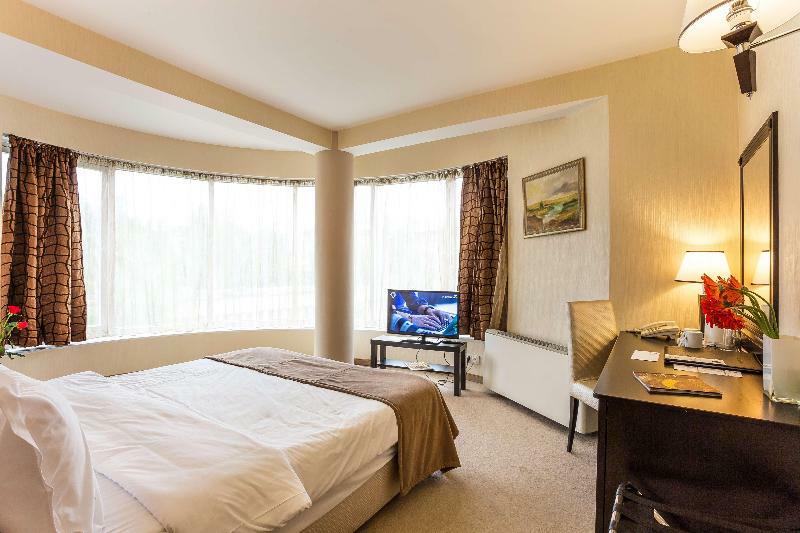 The National Palace of Culture is within a short stroll, while the popular Vitosha Avenue shopping street is about 700 metres away. 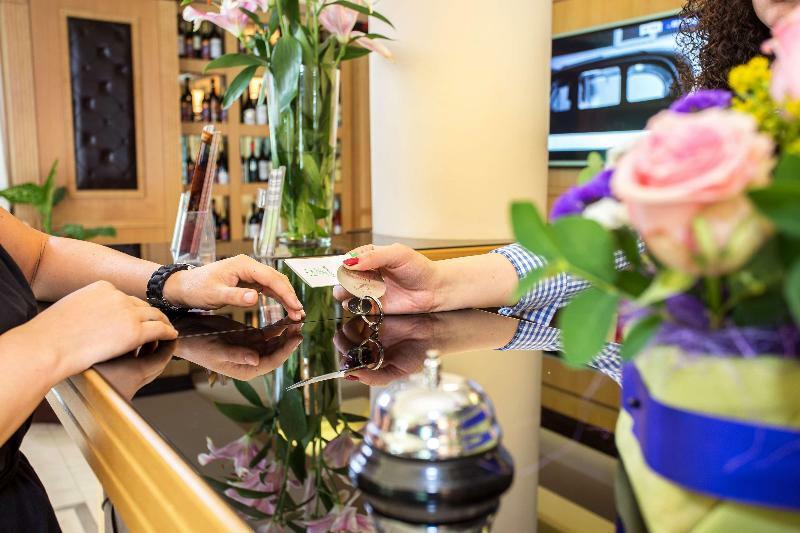 The business district can be reached within 15 minutes, and the Alexander Nevski cathedral as well as other historic sites are about 10 minutes away.Guests are welcomed in an elegant lobby, exuding a relaxed atmosphere. 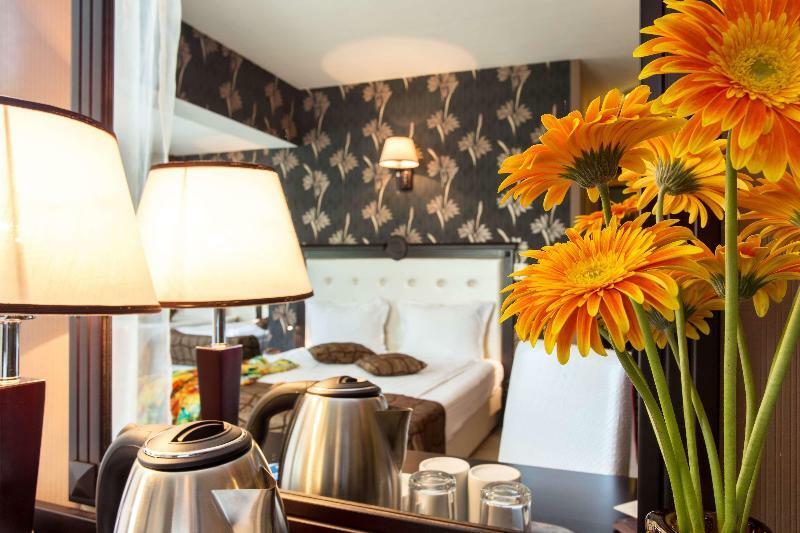 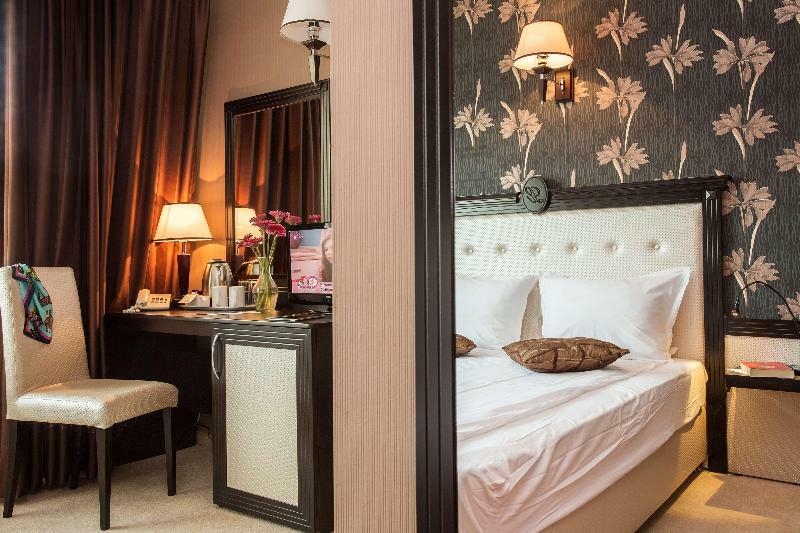 The well-appointed rooms boast views of the Vitosha Mountain or over the city. 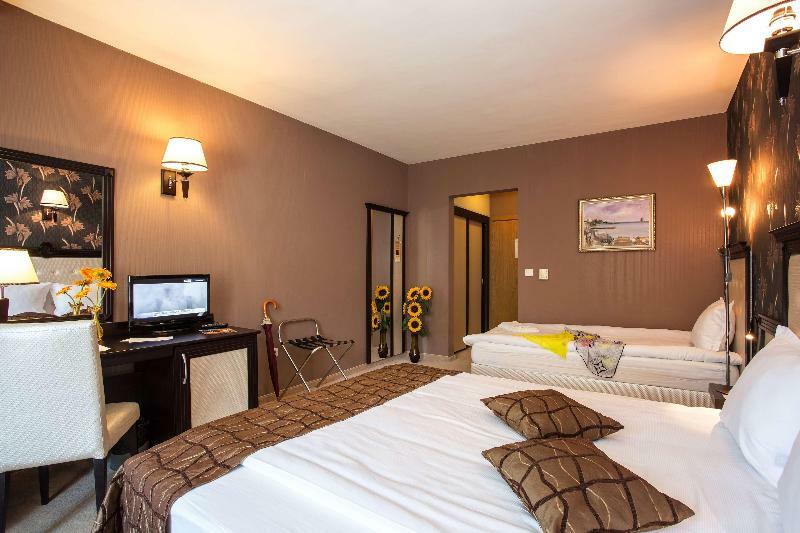 They are sound-proofed and features include cable TV and wireless internet access. 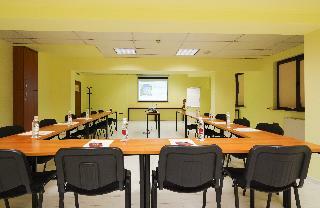 Business guests will appreciate the business centre and the conference facilities. 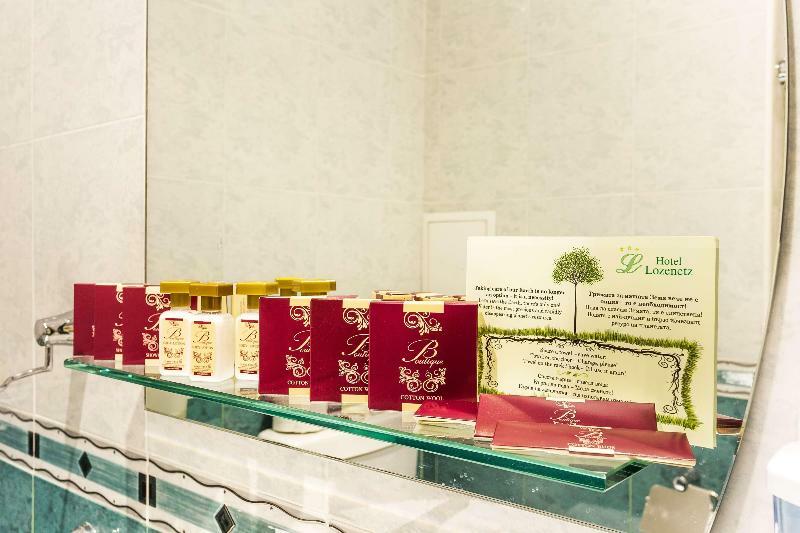 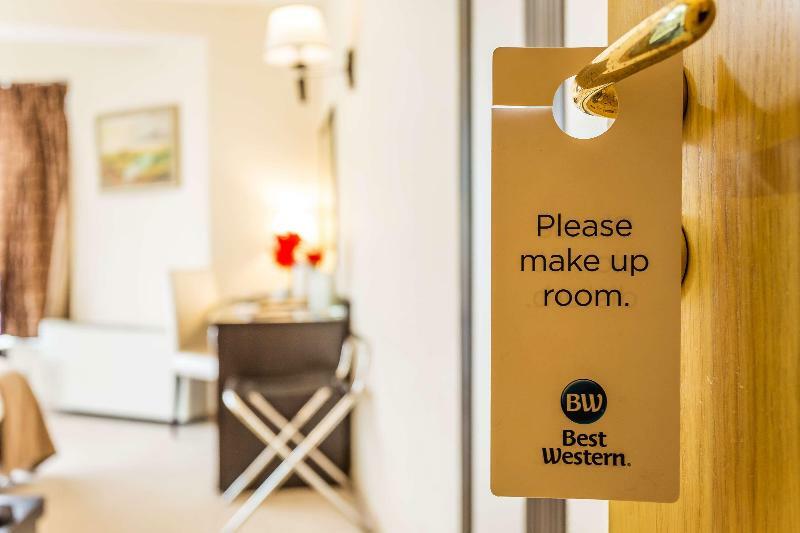 Other services and amenities include a concierge service, a hairdresser's, a beauty salon as well as an on-site restaurant. 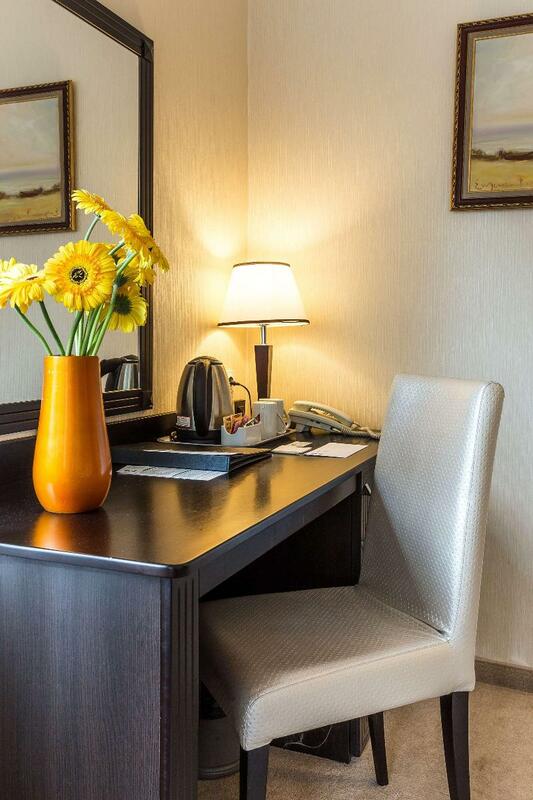 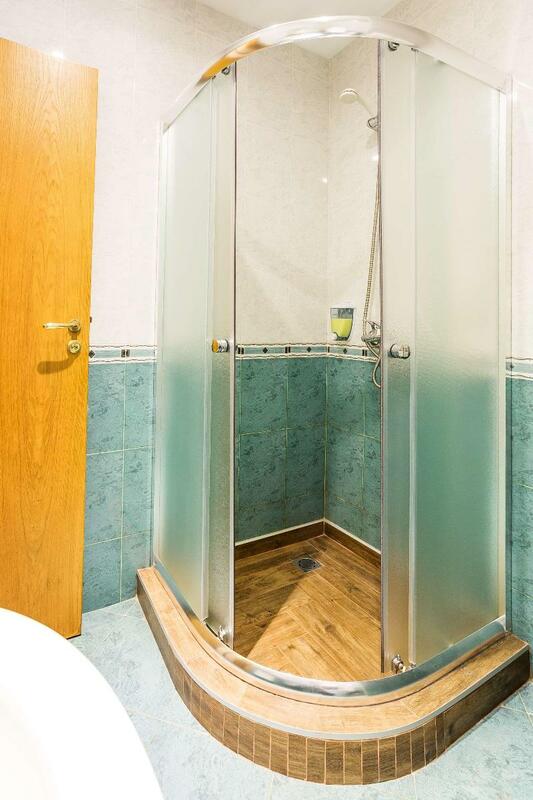 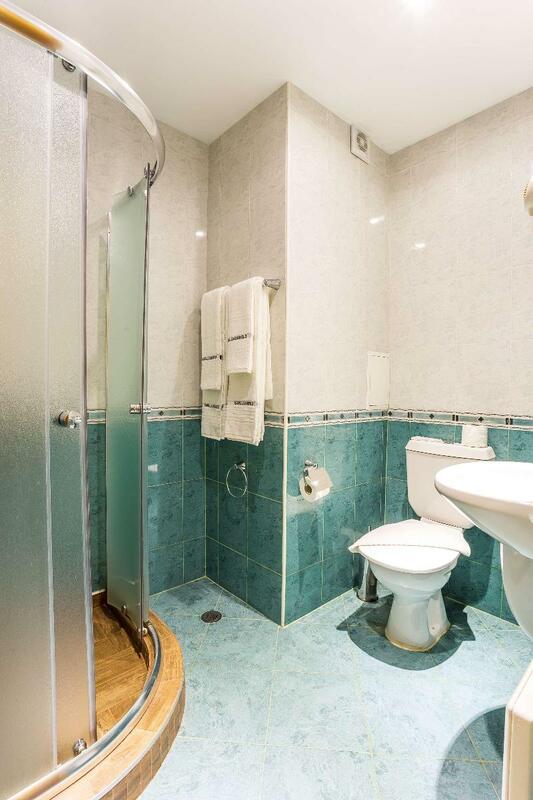 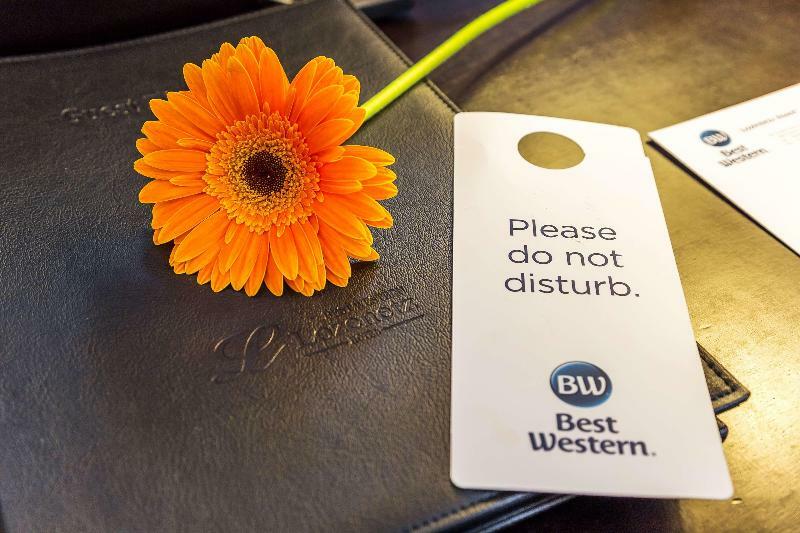 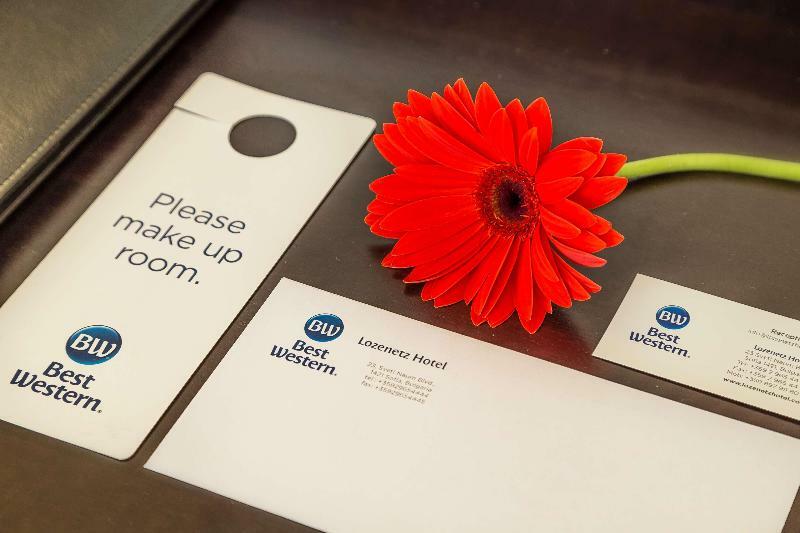 This hotel is a great choice both for business and leisure travellers. 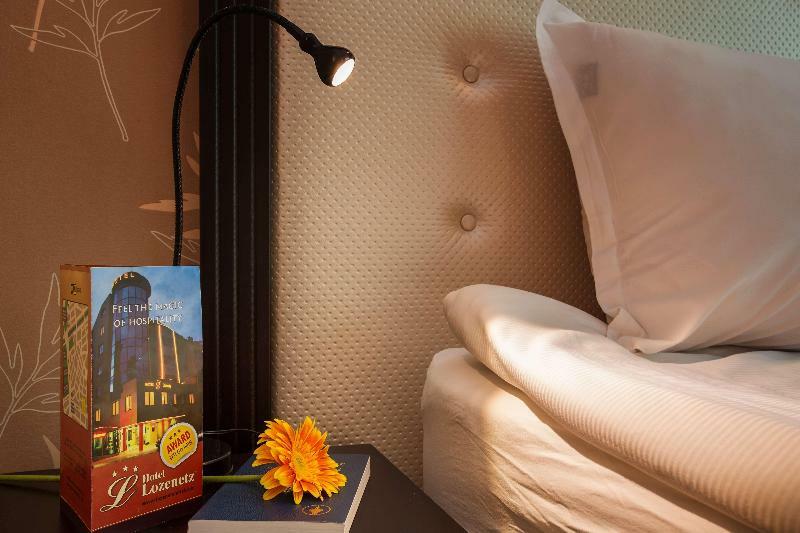 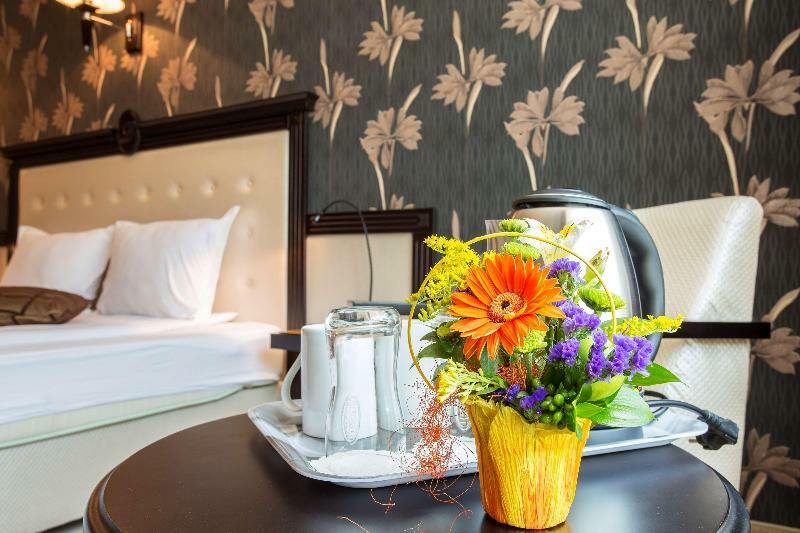 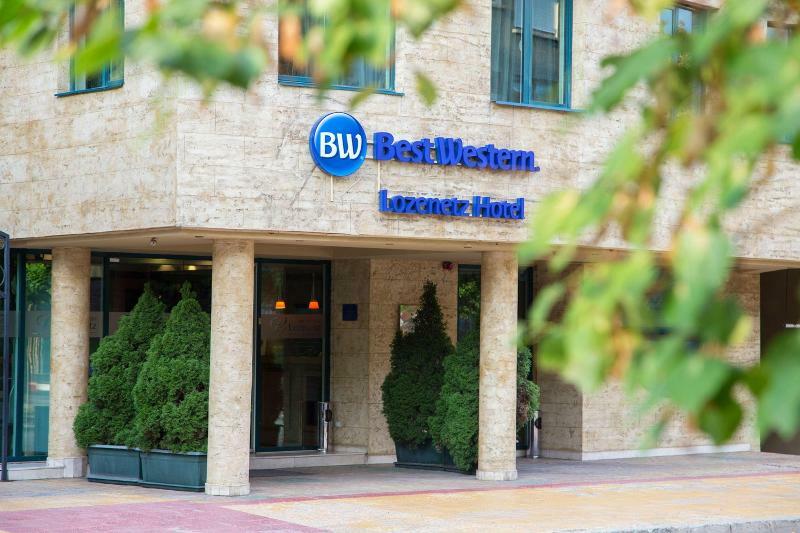 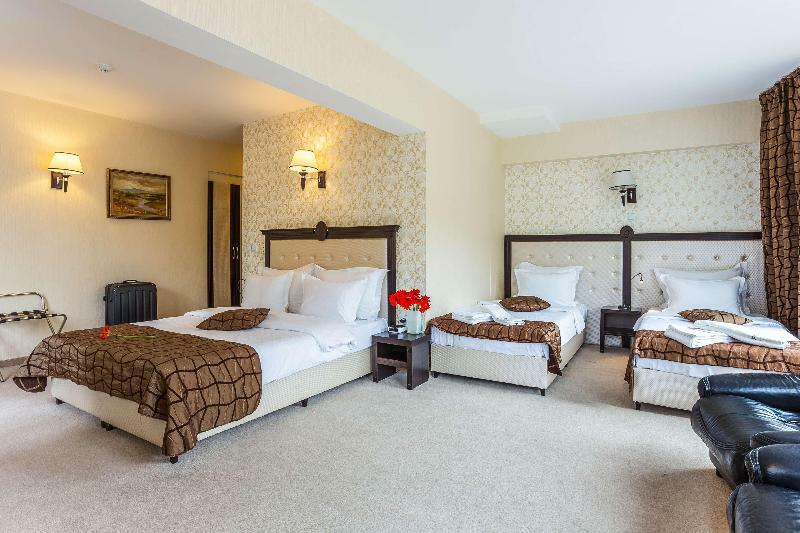 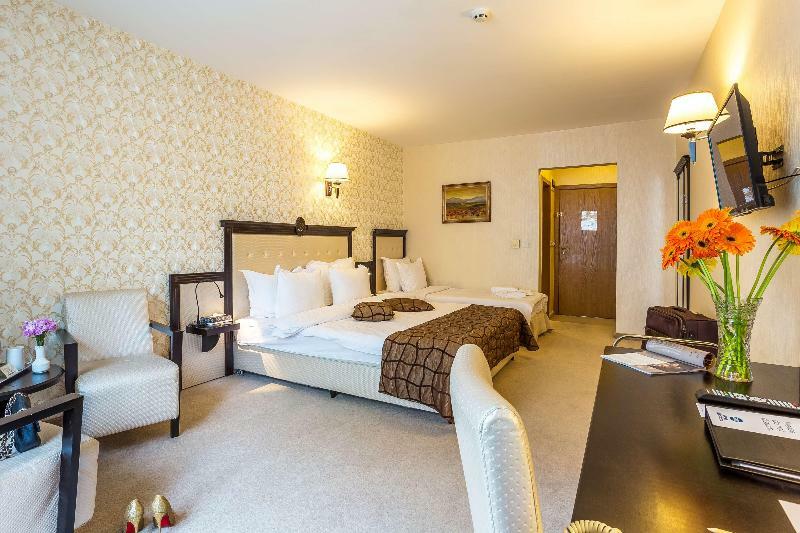 This splendid hotel is situated at the heart of Sofia, within a short stroll from links to the public transport network and the major local landmarks such as the imposing St. Alexander Nevsky Cathedral and Vasil Levski National Stadium. 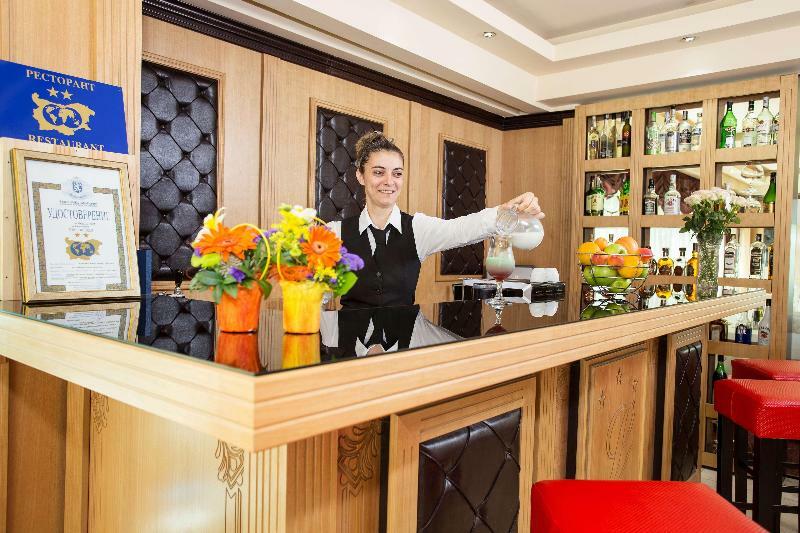 Many shopping venues as well as countless bars, cafés and restaurants are to be found in the vicinity. 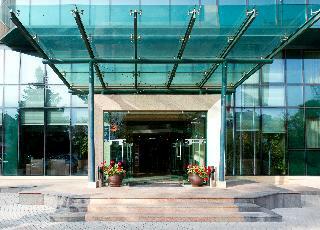 This contemporary city establishment is famous for its unique architecture and superb service. 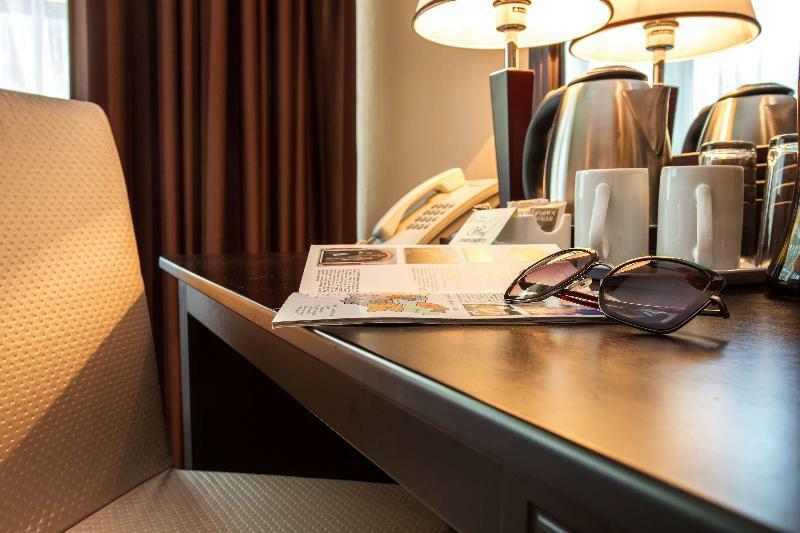 Guests may retire to their modern and stylish rooms and apartments, where comfort combines with beautiful design and top-notch amenities. 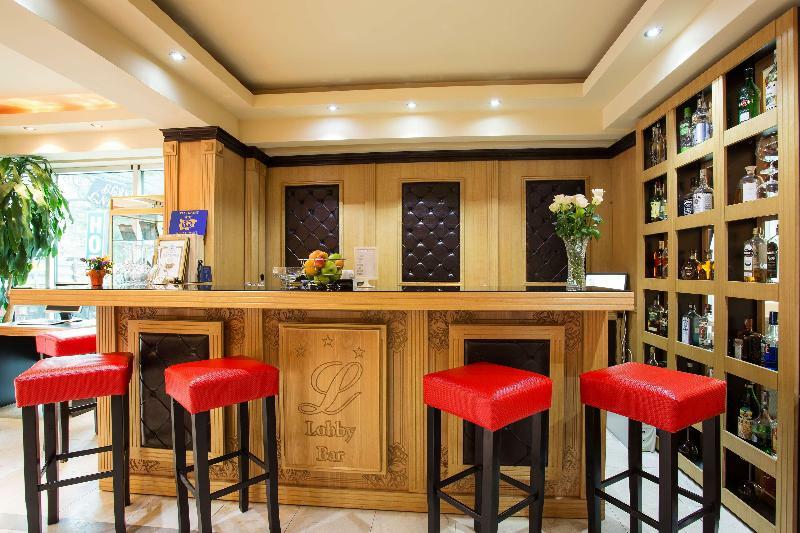 The air-conditioned and glamorous restaurant with a non-smoking area and the welcoming bar invites guests to stop off and indulge in some top cuisine and the finest wines. 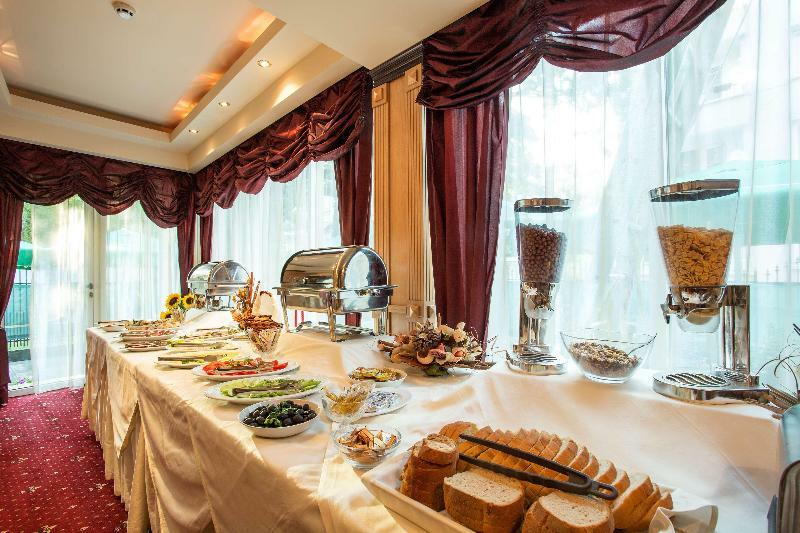 In addition, there are ideal services for corporate guests including a state-of-art conference room ideal to host a business seminar or a special event.